With the likes of Hansel and Gretel Witch Hunters and Red Riding Hood, there appears to be no shortage of modern rehashes off old fairy tales right now. And that trend continues with Jack the Giant Slayer, a retread of Jack and the Beanstalk and film that is so confident that the production company behind it – Bad Hat Harry, saw fit to alter their opening slogan so the silhouettes in The Usual Suspects inspired logo are giants and not the criminals from the iconic 90s flick. Sadly Jack the Giant Slayer is not as iconic as The Usual Suspects and where The Usual Suspects had a cracking script and a killer plot twist, Jack the Giant Killer simply pales in comparison. I know it’s hardly fitting to compare the two films, they’re literally worlds apart – but it’s worth remembering that Jack was directed by Bryan Singer and scripted (at least in part) by Christopher McQuarrie, the very same duo that were responsible for one of the most influential films in modern memory. than fee fi fo fum. While the film is not a complete disaster, it’s hard to shake off the feeling that if a little more effort went into the script we’d be treated to more than just your run of the mill CGI treat. But sadly the film is so preoccupied to show off the visual effects we barely get the chance to warm to any of the characters. Having said that, all the cast enthusiastically play their parts. 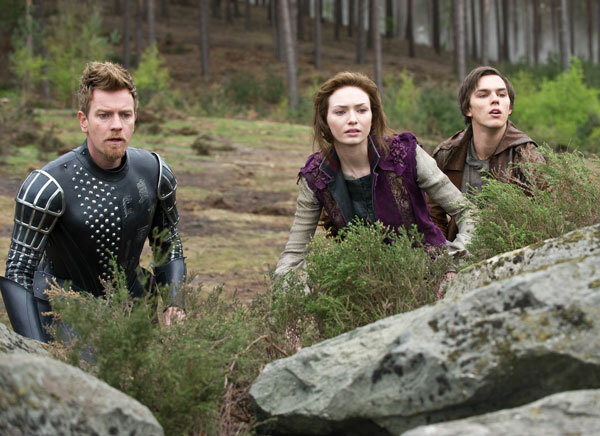 Nicholas Hoult is perfectly capable as the films titular character, as is Ewan McGregor who swashbuckles his way through the Kingdom of Cloister as the good knight Elmont. In fact both actors do get ample opportunity to show off their comic timing in a number of scenes. Eleanor Tomlinson is likeable, charming and endearing as Princess Isabelle and Jacks love interest, but ultimately she is almost instantly forgettable due to a forgettable script that doesn’t know what to do with her character. 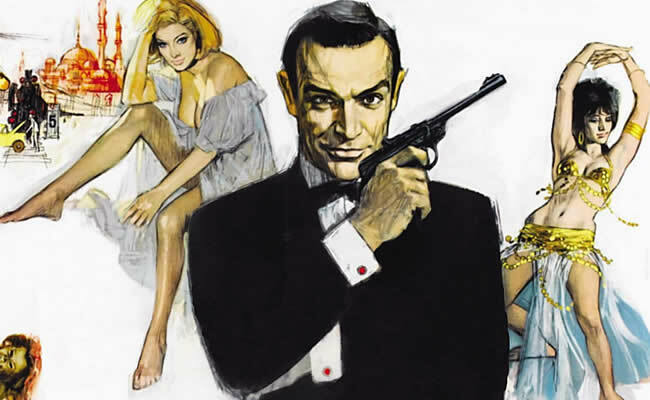 With supporting performances from the likes of Stanley Tucci, Ian McShane and the underrated Eddie Marsan, they all bring a touch of class and authority to the proceedings, and it’s clearly evident that everyone is enjoying themselves. Visually the film is at its strongest. The motion capture work is second to none and the giants are as disgusting as they are large, picking their noses and ears and then eating the findings – it’s perfect fairy fodder really. Their wretched manner is brought to life through some solid voice work from the likes of Bill Nighy and John Kassir. Part of the problem with Jack the Giant Slayer is that it appears to not quite know its audience. The UK rating is a 12A, understandable as there are some scenes that are genuinely quite freaky and would probably disturb a younger audience member or two. But it appears to forget that it is based on a fairytale. It’s quite jarring at times and makes one wonder if it was these sort of issues that lead to the films delayed release. When the film does get going in the third act, things do pick up a bit and it’s easier to forgive and forget the flaws during the first half of the movie. 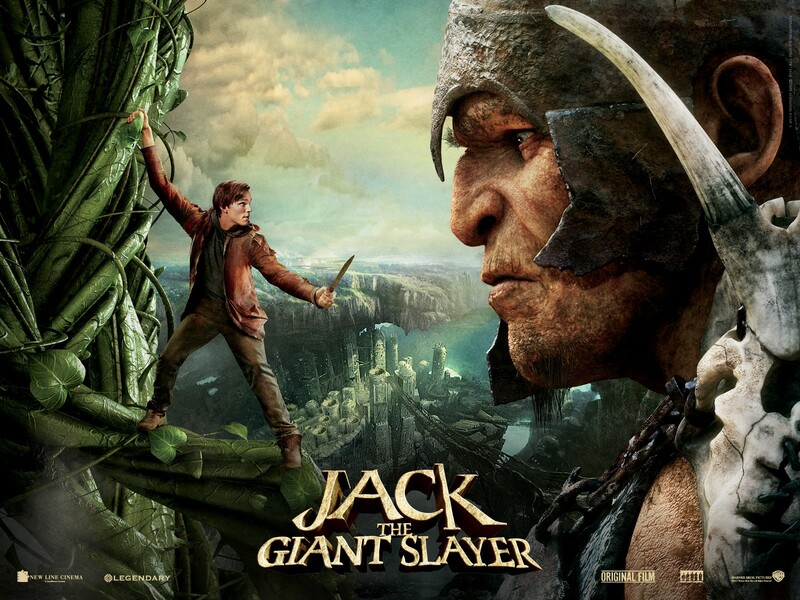 Singer is clearly in his comfort zone when directing large set pieces and Jack the Giant Slayer is testimony to that. So while standing tall in visual treats, yet lacking in plot and depth, Jack the Giant Slayer is perfectly acceptable popcorn fodder. It’s neither groundbreaking nor original stuff, but its one that is sure to entertain the kids.